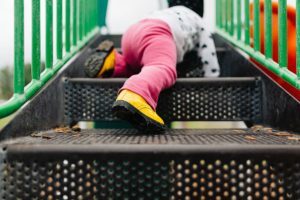 At Stepping Stone School, we recognize the value of perseverance and encourage growth in this area daily.OurPlatinum Learning for Life™curriculum is specially designed to provide developmentally appropriate activities for children of all ages. Each child is provided the support and care she needs to become confident and prepared both socially and academically for kindergarten. 1.) Resist Rescuing Immediately. Give children the chance to struggle, sometimes an extra moment or two is all they need to be successful in a situation. If needed, adjust the level of difficulty of a task without taking away the challenge completely. Pushing them just a little will pay dividends in the end. 2.) Teach Practical Problem-solving. Before a child becomes frustrated, help him to think if there is another way to solve the problem. Helping him to learn to stop and think can often reveal a new or different way to reach the same goal. If he is becoming frustrated, remind the child of past successes and how he worked to overcome in the past. 3.) Try New Things. Often when we try something for the first time, we face unforeseen challenges which provide an opportunity to develop perseverance. Consider nurturing a new hobby with your child, with personal interest and intrinsic motivation, she will be more likely to persevere through those challenges to be successful in her chosen hobby. 4.) Practice Positive Sayings. Sometimes, when encountering a new situation, children are quick to give up, stating, “I can’t!” Help children change their thinking by practicing statements like, “I can’t, YET!” Help them to see the times when they have kept practicing and demonstrated progress and eventually success. Often helping them to change their negative statements into positive statements will help them to persevere a little longer. 5.) Set Small Goals Together. Beginning in early elementary school, children begin to understand the concept of setting and reaching goals. Whether it is to stop biting nails or to become a better soccer player, help your child think of how he can work towards a goal. Together with your child, write down the goal and then think about the specific steps he will have to take to reach that goal. Perseverance is a character trait that children will work to develop as they grow and mature into adulthood. Cultivating this trait from the earliest stages in life ensures growth in this area.